This brand new residence welcomed its first residents in January 2018. The residence is a modern building with functional and comfortable facilities, designed by the internationally renowned Danish architects Henning Larsen Architects. 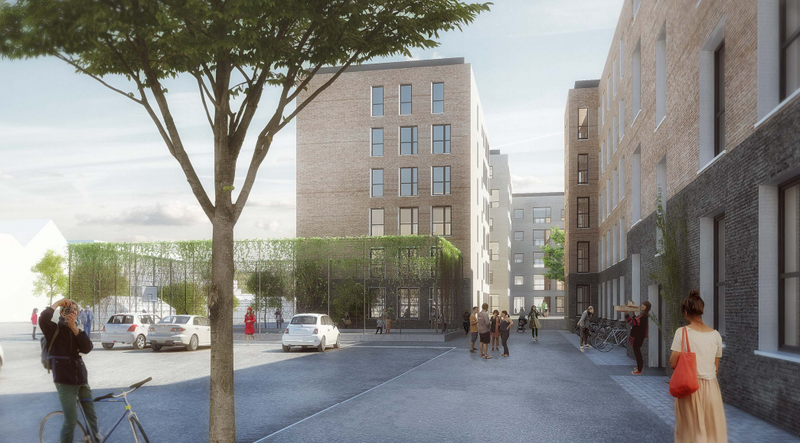 The residence is situated in central Copenhagen at the address Nimbusparken 34-36 Frederiksberg, close to the CBS Campus and to several metro stations, S-trains, and busses. All 145 rooms in the residence consist of 15 m2 including a private bathroom. Each room is furnished with work desk, table lamp, chair, guest chair, bed, bedside table, bedside lamp, bookcase, wardrobe, hat rack, and a bulletin board. The bathroom is equipped with a shower, sink, toilet, and a glass shelf. Each cluster of 10-12 residents shares a kitchen, which is fully equipped with all appliances and kitchen utensils. The kitchen also includes a dining area and a lounge area for the residents sharing the kitchen. Residents share the obligation of daily cleaning of their shared kitchen. Each resident must also clean his/hers own room and bathroom. Twice a month, an external company cleans the floors of all common areas (stairs, lifts, hallways and kitchens). The residence is equipped with WIFI. The cost is included in the rent. In the basement, you will find a modern self-service laundry room with washing machines, dryers, and a small drying room for items not suited for dryers. Laundry costs are not included in the rent. Each resident has a storage box for suitcases etc. in the basement. The bicycle cellars contain racks for residents' bikes. 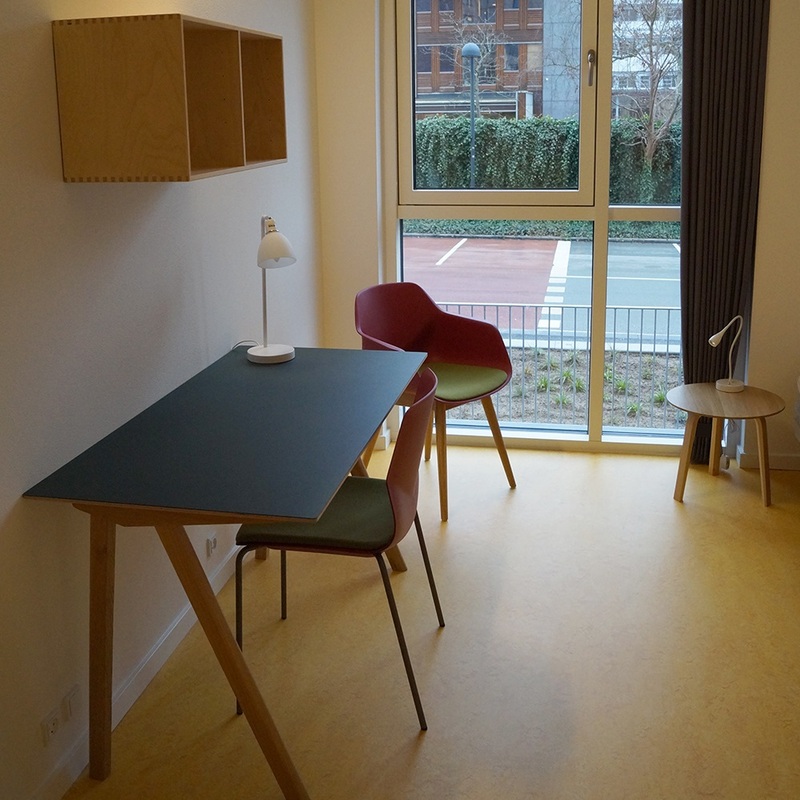 Residents at Nimbuskollegiet can borrow a common room for up to 48 persons for private gatherings, free of charge. The borrower will be responsible for the room and its facilities to be delivered back in the same condition after use. If any damage is done on inventory, or if the cleaning is not done properly, the borrower will be held responsible and charged the cost will be deducted from the person's deposit. 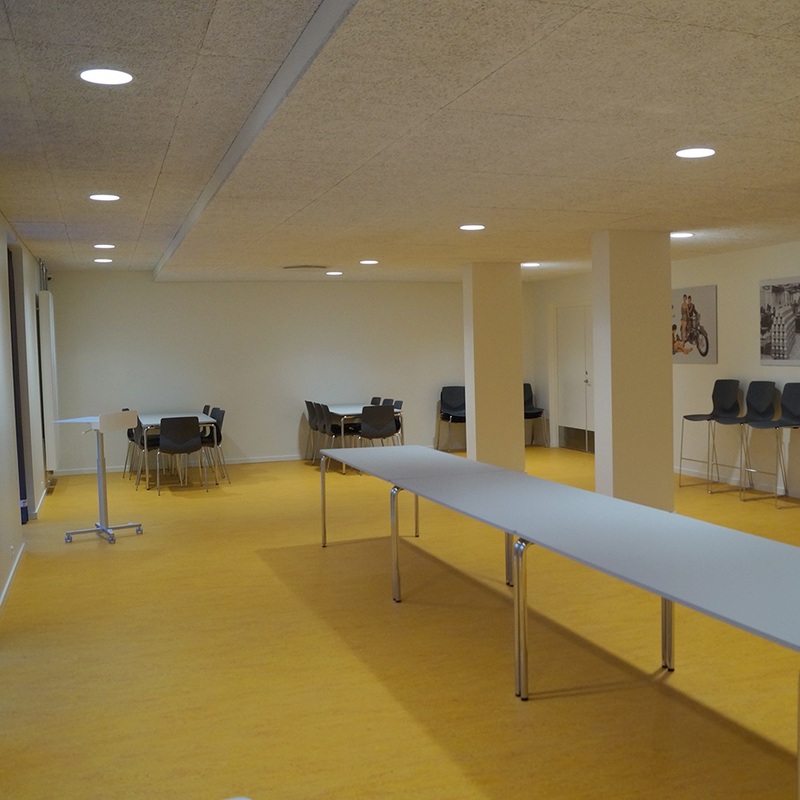 If you want to book the common room, please make a request through the helpdesk at least two workdays before the requested date: www.cbs-ah.dk/new-case, in order to allow time for checking the condition of the room, to deal with the formalities, and to program the key tag. When you book the room the key tag for your room door will be activated at 2 pm on the day you have reserved the room and deactivated at 10 am the following day. The common room is set up for 48 persons. It is your responsibility that this number is not exceeded. During the period where you have access to the common room, you are responsible for the room and its contents. You accept to pay for any damages, missing or broken items. Smoking is not allowed in the common room, in the hallway outside, nor in outdoor area by the stairs and the bicycle room. Use of the rear door of the common room is prohibited, except as an emergency exit. The door is fitted with an alarm. You agree to clean the room by 10 am the day after use. If the room is not cleaned to the satisfaction of the inspector, you agree to pay for any necessary cleaning costs. Loud parties are not allowed. Sunday – Thursday the room must be locked up and left no later than 10.00 pm, and on Friday and Saturday no later than midnight. You accept that any breach of these common room rules will prohibit you to book the room again for the rest of this semester and that a serious breach might cause a warning copied to the coordinator of your home university. Cleaning of the common room includes cleaning of the kitchen area with oven and stove etc., toilets, and floors. All tables must be washed so there are no spots or dust on them, furniture is placed as it was on arrival, and trash and all other items not belonging in the room must been removed from the room. Remember to use at least 2 buckets of warm water with cleaning detergent to clean the floor.